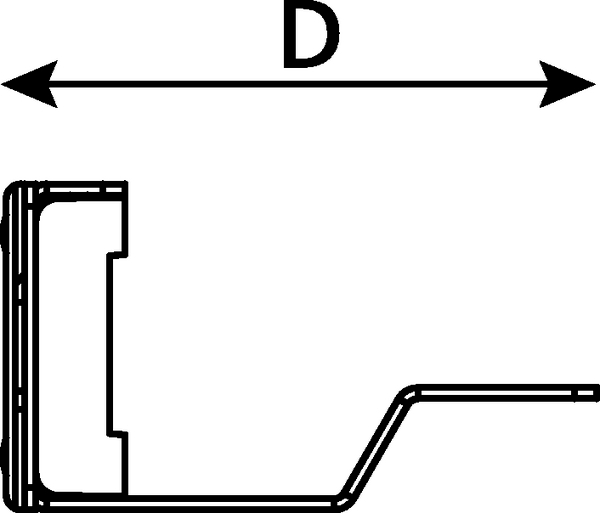 Technical Description Manufactured from black powder coated mild steel and galvanised integral rear management bar. 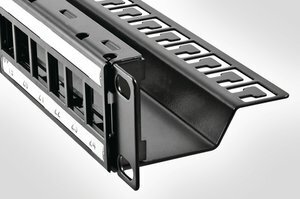 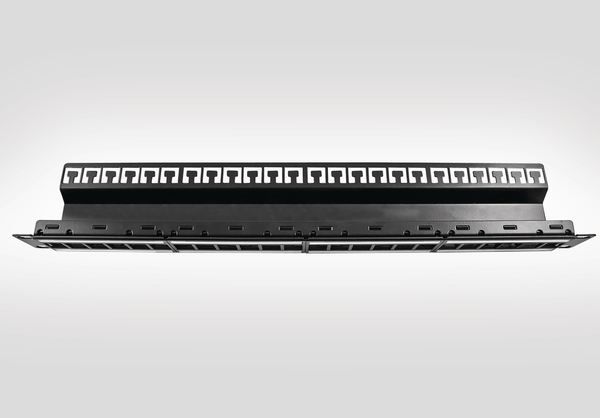 The Shielded Modular panel is designed to accept HellermannTyton Connectivity's Shielded keystone jacks which are available in CAT6A & CAT6 (for Shielded CAT5e we recommend using the CAT6 shielded jack). 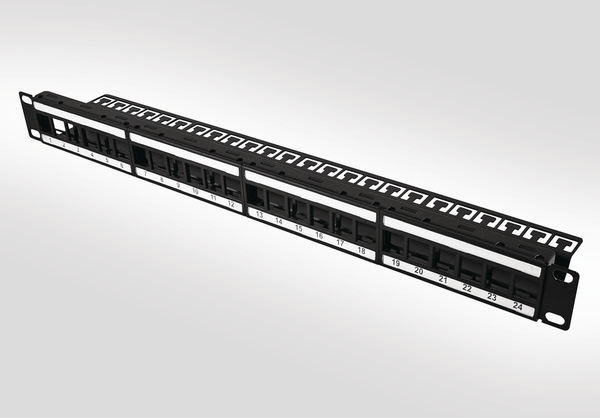 They are supplied as standard unloaded but include rack snaps for fast installation and a 2.5mm earth cable for proper bonding to the 19" rack.